Today, International Womens Day, is not usually a holiday I particularly pay attention to, mainly because it’s not a day off! I didn’t remember about it until I was driving and it was mentioned on the radio. Instead, the thought of the morning was the time my mother told me about a question someone asked her: how she had raised three women who were focused on their careers instead of having families. The funny part is that we grew up in a culture where having a family was honored and a good thing. For most of my sisters and me, I think that was something that we actually desired. God just had different plans in that we would find it later in life and would spend the most valuable years of our lives (when we’re able to do anything!) to focus on serving others with the freedom of singleness. What I love about my mom….ok, just one thing I love about her….is that she fostered in all of us a love of learning, creativity, and encouraged us to use our giftings and skills to make a difference. In pioneering, she created pioneers of us as well and gave us the ability to explore the world around us. There was never a moment that was not a “teachable moment,” even on vacation we were constantly learning – and we enjoyed it! She is also the mom who was out climbing trees with us when we were playing hide-and-seek with friends. Both our parents would be out playing kick-the-can in the street with us and the neighborhood kids. We were the crazy family running outside in a downpour, grabbing whatever bucket we could to have a water fight in the pouring rain. Dad never passed up an opportunity to “make memories” it seemed! Through all our experiences, and being allowed to be us and learn in our own ways (imagine teaching kids that each have a different learning style! ), we all found careers that allowed us to explore and chase our dreams – a fighter pilot, a fashion designer, a world traveler, and a linguist. We may all be moving on from our first dream to find a second dream/career, but we still are choosing jobs that make a difference and are fun and challenging. Eventually, my sisters and I also found strong men who could put up with strong and independent women, because we were also filled with grace. I’d say we were also filled with a side of crazy, but I’ve been told that we’re definitely not crazy and some of the most non-drama women ever. Maybe we just found “our kind of crazy” men! We learned not to settle, not to fill that longing with a relationship but with God, and in the end we found some pretty amazing men. My sisters and I are all that we are, who we are, as strong and fierce as we are, all with a side of faith, love, and grace because of one amazing and fierce woman of faith (who was backed by a pretty amazing man). So, mom, to you I raise a glass and salute you! I rise up and call you “blessed.” Thank you for being an amazing example to whom I can look and follow, to whom others can look and follow. Well, we’ve finished our tenth week of Keto and we decided to seriously contemplate the continuation of it. We’ve both experienced some odd dizziness and being stopped up. Then we looked at our month one and month two results. After loosing eight pounds (me), it took me a month and a half to slowly loose 3.4 pounds and that was with counting calories and cutting back. All the inches the second month were comparable with the first. So, total, I’ve lost 11.4 pounds, 1.5 inches in the waist, 2 inches in my hips, and 2 inches in my belly. While I’m pleased with the results, the negative effects of the diet and slow results lead me to believe that continuing to cut calories and leaving out sugar will work just as well. I don’t think the high-fat only diet works well for me. I also miss fruit like crazy! We’re going to start adding things back in to see what might be irritating and causing the pain and inflammation I deal with. However, we’ve both decided to keep sugar out of our diets. It’s insidious and sneaky – in food and health negatives! Up next? Reading “Trim Healthy Mama” to see if it has any tips and what it’s about. Today is the fifth week of the ketogenic diet that the husband and I started. Our pantry is bare of any grains and sugars and non-diet stuff and our fridge is full of veggies and non-sugar stuffs. We did our one month weigh-in and measurements and discovered that he’s down 9 pounds, 3 inches in the waist and 1.5 inches in the belly. I’m down 8 pounds, 1.5 inches in the waist and .5 inch in the belly. His blood pressure has also dropped about 11 points. So, you ask, how has it been? Well, it actually has not been too hard. We’ve learned to add in more salads for fibers and greens; to meal plan well so we always know what the next meal is to avoid cheating; and that coffee with heavy cream in it is amazing! Especially if it’s direct-from-Ethiopia coffee….my former roommate has successfully converted my non-coffee drinking husband into a coffee lover! For myself, I’ve noticed a drop in my pain levels. When I moved to Texas, the chiropractor I found diagnosed me with a 80% chance of having Fibromyalgia (FMS). While I have flare ups that are painful during the day, I’ve noticed that I often wake up in the morning with an aching, painful back. I added an extra egg-crate to my side of the bed to try to help…which my husband doesn’t like. Since the diet started, I’ve woken up each morning without that pain! Cutting out inflammatory causing foods like sugar seems to have made a huge difference! I knew about inflammation causing foods, but apparently sugar (and maybe grains) is a big one and I just didn’t want to avoid it. Speaking of sugar, do you know how it’s in almost every food item you can find?! We finally found Pederson’s bacon and Bolthouse salad dressings that have no sugar. I’m definitely learning to read labels even more than when we went through Whole30. The biggest thing we both are missing is fruit. We can have limited amounts of berries, but have to avoid the larger sized fruits as they have more fructose and carbs. However, we’ve learned about which sugars we can use (Swerve [Erithrytol] and Pyure [Stevia] are the top for tastes) and how to make “fat bombs” to help our sweet cravings and our macros (fat/carbs/proteins). So one month down, probably another 2 for me and another 4 for him. Will keep you updated! Let me know any tricks or tips you’ve learned from dieting…or transitioning off a diet. I hate shopping. The time, guessing at what size I am in that brand, hunting for deals, etc…That’s why I stick with jeans and t-shirts if at all possible. However, I work in an executive office and I’ve been really needing some new work blouses. Because I’m always dissatisfied by what I find when I go shopping and my little sister has loved her StitchFix boxes, I decided to give it a go. Unfortunately, I didn’t realize to ask her for a referral link so she didn’t get credit for it. Oops. But I did take her advice and fill in each box, even giving my measurements, and providing my would-be stylist with as much information as I could. I also updated my Pinterest fashion page and gave them that link (you can do that!). I was a little anxious that this wouldn’t go well as I tend to be petite, yet with shapes that aren’t so common in petite women based on the clothes I’ve tried. Apparently more hour-glass figures are not typical petite figures. Today the box arrived and I broke into it. Quite nice packing and they even give you a card with suggested outfit parings for each piece. This box was tops only as I requested. I have to admit, it was very much like opening a box that someone picked for me with a little bit of a “just try this” feel. Much like when I shop with my older sister. She’s definitely the human version of a personalized StitchFix box! Fit Thoughts – this varied a bit, but for me not trying them on, they did a heck of a job. The only issue was that I had mentioned deep v-necks not being my favorite as they tend to be too deep on me. There were two shirts with v-necks with the typical “gotta wear a tank top underneath” fit. However, the styles were awesome. There is an exchange option, but the fit was so close I doubt a different size would work. Price – I love a good deal and these are all in the $50 range, which I would normally not buy at that price. However, they do have a 25% off if you purchase all 5 items and the $20 styling fee for each box is a credit toward whatever you buy. Basically, if I only picked my 3 favorites, I could get the final two for just an additional $15. That makes each item around $35 which is more in the manageable range. I would definitely do this again and I’m 99% sure that I will keep all 5 items. I have 3 days to decide. Oh! And you can leave feedback on each item for fit/style/price/quality/size as well as comments to help them personalize a box next time. However, I am curious if there are other companies out there that are similar and to try and see what the difference is. In September a co-worker walked through my office with a “needs a good home” flyer for a very cute puppy. That should have been a warning – she sniffed me out. The pup was definitely cute and was described as a “sweetie.” I needed some puppy time, so I went to play with it. Honest, that was all I was going to do. That same day found me, pup in arm, wandering the aisles at PetSmart to find the new dog owner necessities – leash, collar, food bowls, food, toys….Yes, I had done my research on what a dog cost, found a bunch of coupons, reworked my budget, got the appropriate permission, and picked him up that very afternoon after playing with him in the morning. Who can resist a cute, well-tempered puppy that needs to be rescued? Not I! I used to wonder at moms who could tell their kid needed to go to the bathroom simply by looking at them or some weird maternal clock. Apparently it happens to dog owners too. I can tell from his antics that he needs to go out and I know the schedule for his bowel movements. Never in my life had I expected to remember that, can’t keep track of it for myself! Routine is necessary. It will be stuck to no matter how you feel. The pup will wake you up at 7am on the weekend because that’s when you wake up all the other days, of course. Dog parks are awesome for that. Take them, let them play, run off all the energy, and then they come home and crash – all by 10am! I have never had so much time on the weekend to get my cleaning and cooking and projects done. Dogs go through phases just like kids do. Mine went from cute puppy “I want to learn!” to obstinate 2 year old “I am ignoring you; I have no idea what you mean.” I also know less about training than I thought I did. And I cannot keep a straight face when what he’s doing is wrong but makes me laugh. He’s also probably the one dog that doesn’t get super excited about going outside and will sometimes run the opposite way to grab a toy when it’s time to go outside. I now have the most adorable alarm clock in the morning. He started with sleeping in his crate during potty training, but once that was done (2 weeks!) he got to sleep outside of it. Eventually, that became my bed as he’ll quit making a racket if he can see me and sleep on top of me….or steal my pillow. Seriously, what’s cuter than a pup that curls up on half your pillow and rests his head on yours? Or in the morning, nudging you awake a few minutes before the alarm actually goes off? Half the time I can’t remember if I helped him up in the middle of the night or if he got up there himself (he can jump now!). Right before I got the pup I had purchased a Misfit tracker ($20 on Amazon!) to track my activity and sleep. I definitely get more activity with him around, although my sleep isn’t so great as he wakes up in the middle of the night sometimes having to pee. I have also gotten to know a bunch of my neighbors because I’m outside now. The kids love him and I’ll hear from across the parking lot, “Is that Rocket? I miss you, Rocket!” My dog has a bigger fan following than I do! While he’s a small thing, he has greatly relieved my struggles with feeling safe. He may be happy to meet almost everyone around him, but there are still some people of whom he’s wary. He has sensitive ears that perk up at sounds that go “thump” in the night and I definitely am more calm when I’m alone in the apartment when he’s around. The timing was not what I was planning on, but the pup has been a perfect addition to my little family. And while yoga may be more difficult with him around there are certainly plenty of laughs to make up for it. Here’s to rescues and abandoned animals finding new, loving homes! I’ve taken quite a break from blogging as I’ve moved and have focused on settling into life and work and school. Learning from last summer, I’ve been working on balance – which means less writing for the moment. However, I thought I’d check in with my “record-breaking” news. Unfortunately, not of the good kind. I have Mononucleosis, a.k.a. Mono. While most of the world contracts mono in their teens-twenties, I made my doctor’s record for being the oldest person she has diagnosed with mono – at age 33. As unhappy of a diagnosis as it is, I’m grateful to know what-in-the-world is going on with my body. Oh, and I’ve also made it into the rare 5% of people who end up with a mono rash as of yesterday. Hurray!? Technically, I’m starting my second week of mono since diagnosis but I’m on my third week since symptoms have appeared. It started with a painful neck that I thought was muscle pain, until a swollen lymph node appeared the next day. The following day I had “electric skin” and the slightest brush felt painful. Five days after the first symptom I ended up with a fever for two days and out of work for most of the week. The first doctor thought I had a sinus and ear infection, but when I wasn’t getting better (yes, I cried and called Doctor Mom) I ended up at a CareNow clinic. Finally diagnosed, the doctor gave me a steroid shot to help with the worst symptoms. Researching mono can be a discouragement as the length of time to get over it is 4-8 weeks, but then the virus stays active/somewhat contagious in your system for up to 18 months later. Plus, you’ll always have the EBV (Epstein-Barr Virus) in your system so you could contract it again and you’re a carrier. Bodily fluids (saliva, sneezing, etc…) are the main way it’s passed on, and no, I didn’t get it from kissing as the boyfriend has never had it. Which means who knows how I actually contracted it (plane flight, grocery store,…?…). Also, for your information, it takes 4-6 weeks for symptoms to show up and get a diagnosis so you’re actually the most contagious when you don’t realize you have mono. Sorry to everyone I might have passed it on to. Fighting mono basically means rest and lots of fluids. I’ve been scolded multiple times by people for not resting enough, but I’ve already spent one week in bed and I can’t handle more rest! I am working on resting more and have left work early several days. I also work from home on days I have new symptoms, like Friday when the mono rash appeared. The weird part about mono is that I’m rarely hungry so I’ve already lost 2 pounds. I have to eat small meals, and if I’m craving something (like Sonic cherry limeade and tater-tots) I indulge as it means I’ll actually eat something! Part of the reason for this is your spleen (and liver) can enlarge which pushes on your stomach. No contact sports for me – ha! that’s the one easy thing to avoid in all of this. One thing that seems to come up for natural “remedies” for mono is the intake of coconut oil. Apparently the folic acid in coconut oil helps you recover faster so I’ve been putting 2 tablespoons of coconut oil in a smoothie every morning. My advice: don’t put it in yogurt as it turns chunky and don’t eat it plain as you’ll gag. Truth. Smoothie is best! It seems to help as I’ve felt much better this week (week one of diagnosis and coconut oil) and physically have more energy. 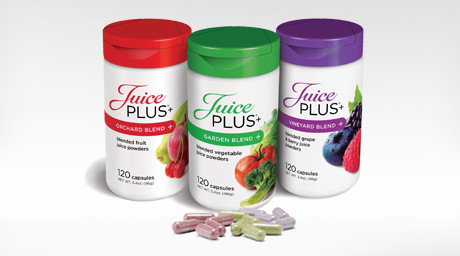 This week I’m adding the Juice Plus trio (berries, vegetables, and fruit) to my regimen as those finally came in. Since I’m not eating as much, I’m not getting as many nutrients as I need so being able to get them via Juice Plus is a benefit. I’ve already been drinking lemon water to help with the liver and spleen function thanks to Young Living essential oils. 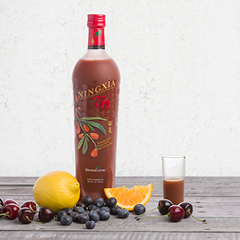 Hopefully next week I can start on NingXia Red (waiting on delivery) as that has helped me tremendously in the past when I’m low energy and in transition, or sick. If you want to know more about essential oils, let me know and I can connect you. The good news is that week three is apparently when lymph nodes start reducing; which has held true as the one in my neck has reduced in size, which means less of a “sore” throat. The hard part in all of this is trying to keep others, like my roommate, from getting it. So, I have a separate sponge for washing dishes and ALL my dishes go in the dishwasher to be decontaminated. Thankfully, I already used my own coffee mug, silverware, and dishes at the office so all I had to do was toss the community sponge I had used for washing them. Well, now you know more about mono and symptoms as well as why I’ve been quiet of late. At least I’ve done some “record-breaking” to make life more interesting. *Sigh* I’m really starting to like the idea of a quiet, uneventful life – it only took thirty years.